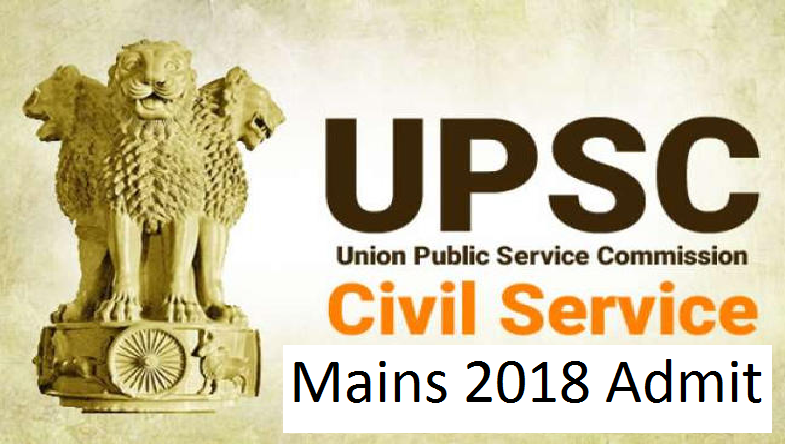 UPSC Civil Services Main Admit Card 2018: The UPSC IAS Mains Exam 2018 admit card or hall tickets have bee released on the official website of Union Public Service Commission. Candidates can now download the UPSC Mains Admit Card 2018 by logging into upsc.gov.in with the help of the steps given here. UPSC Civil Services Main Exam 2018: The admit card of UPSC Civil Services Mains 2018 has been published by the Union Public Service Commission (UPSC). Candidates who have qualified the UPSC Prelims Exam 2018 and are going to appear for the UPSC Mains exam can now download their respective Admit Cards from the official website – upsc.gov.in. According to reports, the UPSC Prelims Exam 2018 was conducted by the Union Public Service Commission on June 3, 2018 in which more than 3 lakh candidates had appeared for the examination at 73 centres across the country. The results of the UPSC Civil Service preliminary examination 2018 was declared on the official website of the UPSC on Saturday, July 14, 2018. Meanwhile, as per the schedule of UPSC, the UPSC Mains Examination 2018 is going to be held from September 28, 2018 starting with the Paper-1 i.e. Essay. Candidates are advised to prepare themselves well for the upcoming exam and download their admit cards from the website before the admit card link gets deactivated. Candidates can check the instructions given below to download their hall ticket.